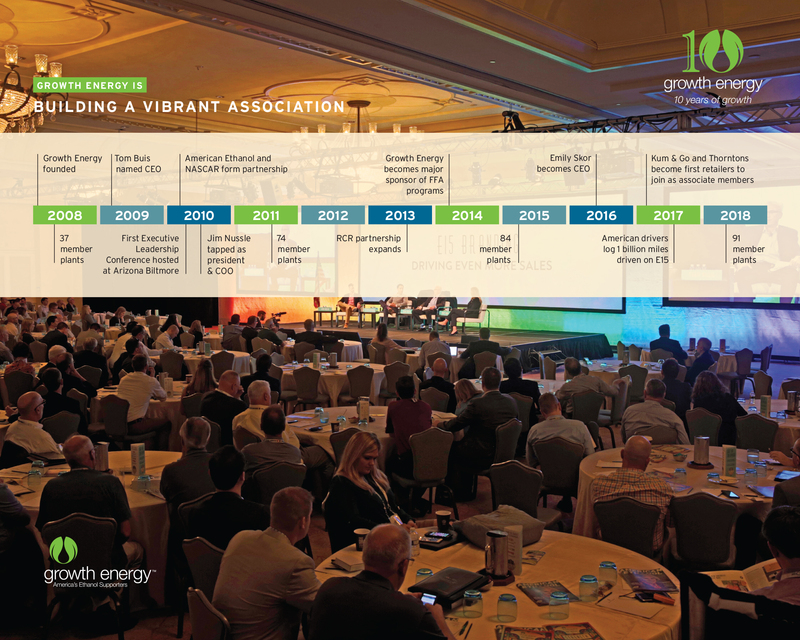 Growth Energy first formed in 2008 and today we are celebrating our 10th anniversary! 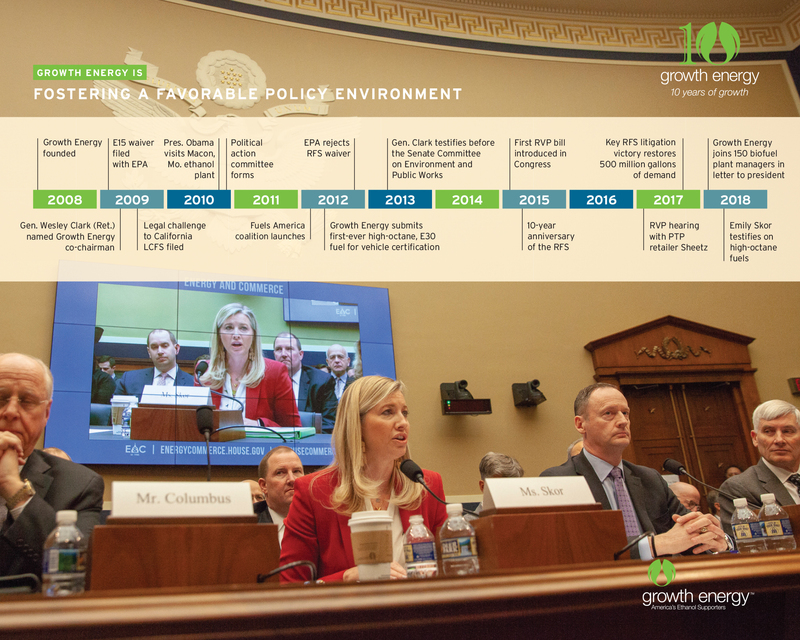 We’ve accomplished so much over the past decade and we’d like to share some of those accomplishments with you. 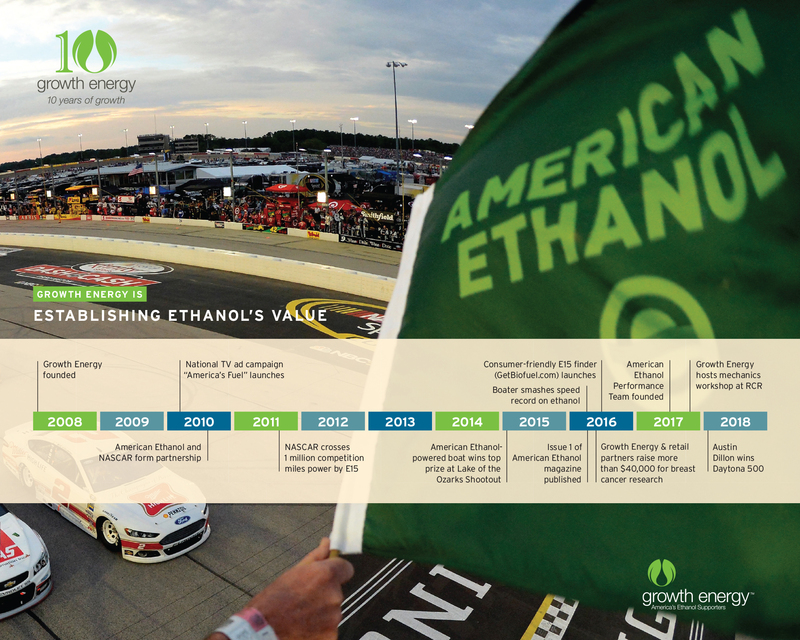 Whether it be promoting the value of ethanol, growing international and domestic markets, advocating for sound biofuels policy, or ensuring our association grows everyday, we work hard to make sure that the benefits of biofuels are felt across the globe. 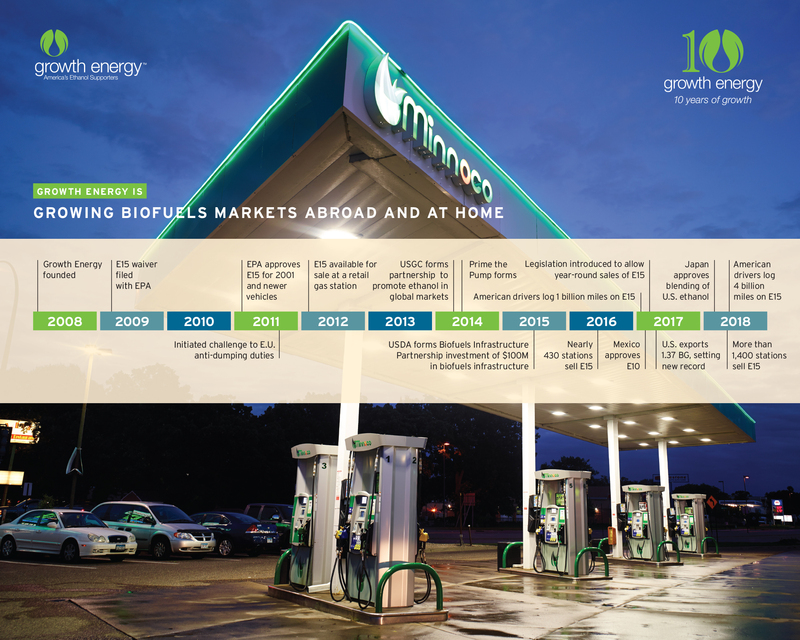 Below are some of our hallmark achievements from the past 10 years and we couldn’t have asked for a better way to cap off the past decade than the president’s announcement on allowing E15 year-round last week. Please take a few moments to celebrate with us, while we remember 10 years of growth.